At United Garage Door Repair of North Las Vegas, we are the experts when it comes to garage door repair and maintenance in Greater Las Vegas, Nevada. Your garage door is one of the largest moving components of your home and often serves as a convenient second entrance. A garage door that is functioning properly is often taken for granted, and the experts at United Garage Door Repair of North Las Vegas understand that once your garage door stops working it can be inconvenient for you and your family. 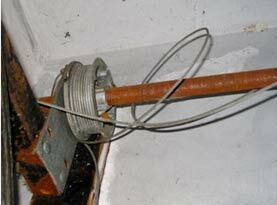 Are you experiencing a broken garage door spring or a dent in your garage door? 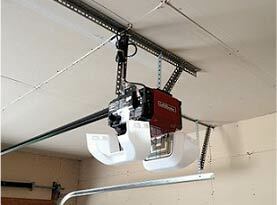 Maybe your garage door opener just stopped working? 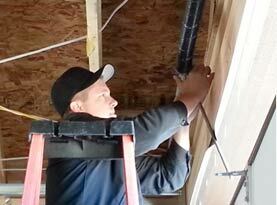 Call the knowledgeable experts at United Garage Door Repair of North Las Vegas for all of your garage door needs. 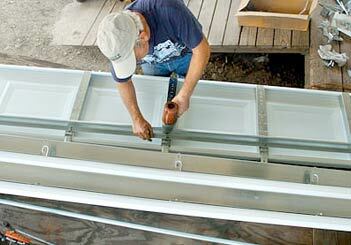 We are a locally owned and operated company with years of combined experience in the garage door repair industry. Our service & repair technicians are licensed and insured for your protection and know everything there is to know about garage door repair. 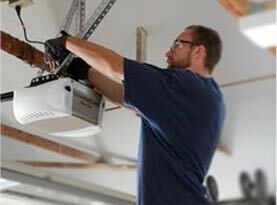 Our promise to you is to provide the best garage door service available in the Las Vegas area. We offer 100% customer satisfaction on all of our repairs. Garage doors are large and heavy and you can trust that you will receive a standard of service that is unprecedented in the garage door repair industry. We are the experts when it comes to garage door repair and our technicians are experienced, highly trained and professional. You can be confident in knowing that our team of repair technicians is proficient at fixing all of your garage door problems including repairing and replacing broken springs, openers and door panels. At United Garage Door Repair of North Las Vegas we work with the most reliable brands in the garage door industry including Liftmaster, Genie, Chamberlain, Craftsman, Stanley and many more. Our experienced technicians are available 24/7 to respond to your emergency. We keep our fleet or service vehicles fully stocked with replacement parts and equipment and you can rest easy knowing that your garage door issues will be taken care of quickly and efficiently. As a cutting edge company, we understand just how quickly technology can change in the repair industry and that is one of the reasons why we provide continued education to our repair technicians. When you need a broken spring replaced, a door placed back on its track, repairs or replacement of bent or broken cables or if you are experiencing problems with your garage door remote, we have the best methods and experience to get your garage door issues fixed right the first time at prices that just can’t be beat.